Paper Mill Wire Mesh has silk-like smooth texture as well as the rigidity of steel. We are recognized among the trusted Manufacturers and Suppliers of Paper Mill Wire Mesh from Tamil Nadu, India. 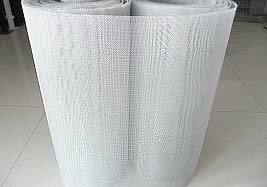 Paper Mill Wire Mesh has various characteristics, which depend on the type of weave as well as the configuration of the wire thickness in relation to the aperture size.